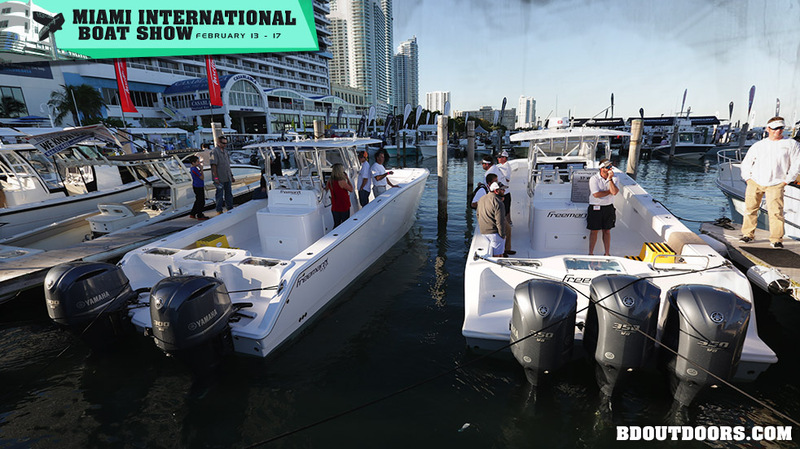 The 2014 Miami Boat Show was in full swing last week and the prevailing sentiment was optimism. 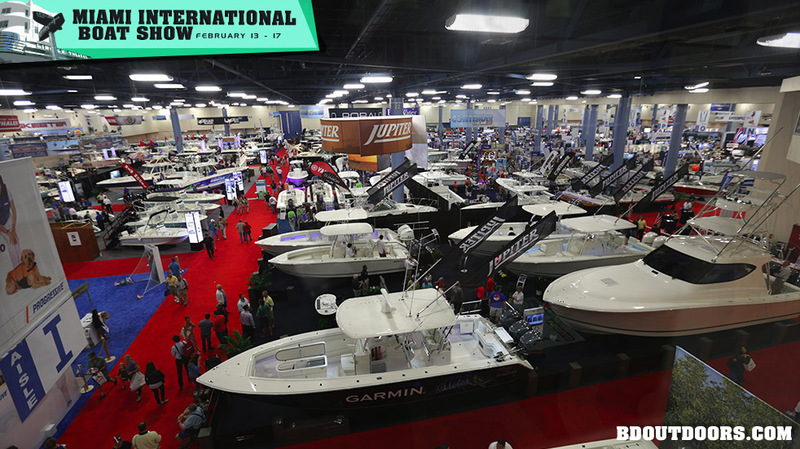 There were so many innovations and tons of people exploring the latest and greatest new boats and accessories. 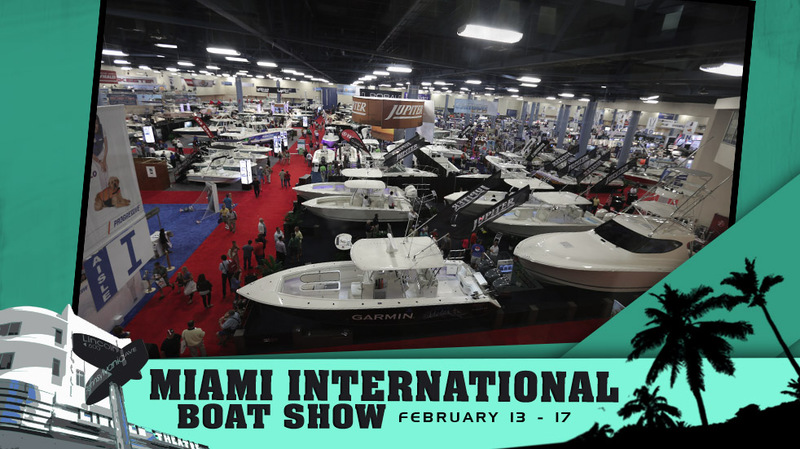 Each of the many boat makers were showcasing their newest models adorned with all of the options and gadgets that make a trip to the boat show worth it. Here was Intrepid’s latest. 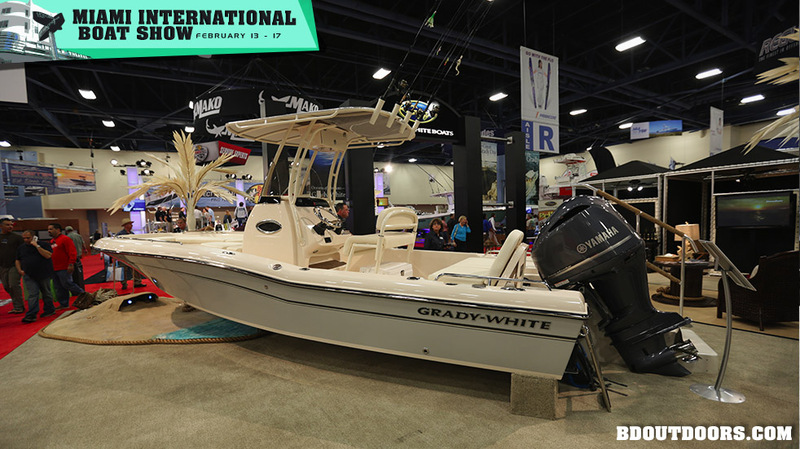 Grady White’s new 25 Coastal which is a great blend of fishing, family and quality. Grady White, whose name is synonymous with quality, has designed a new bay boat for fishing and family outings. This unique boarding ladder built into the bow is an innovative option. 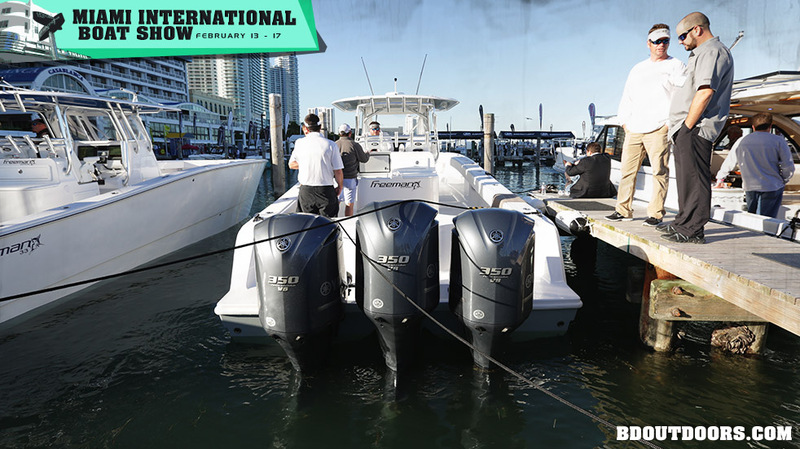 Bluewater boats from Ft. Pierce, Florida were present with both their offshore machines and their newest models of flats boats. Each electronics company went all out to display the latest user friendly, high-tech instruments to date. 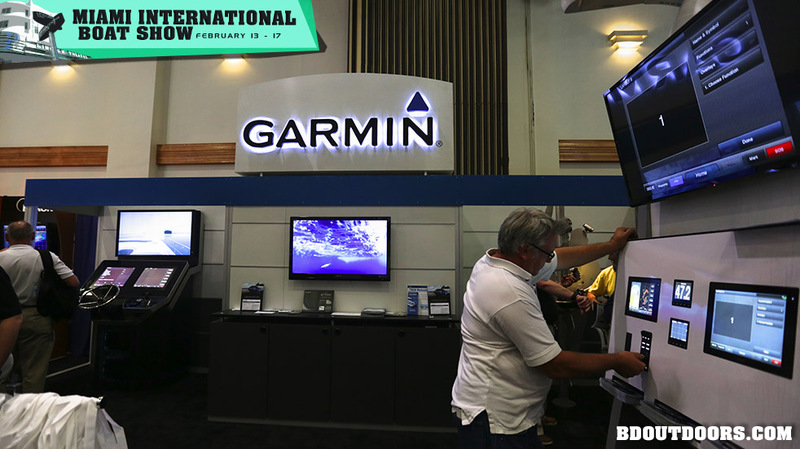 The Garmin booth was no exception. 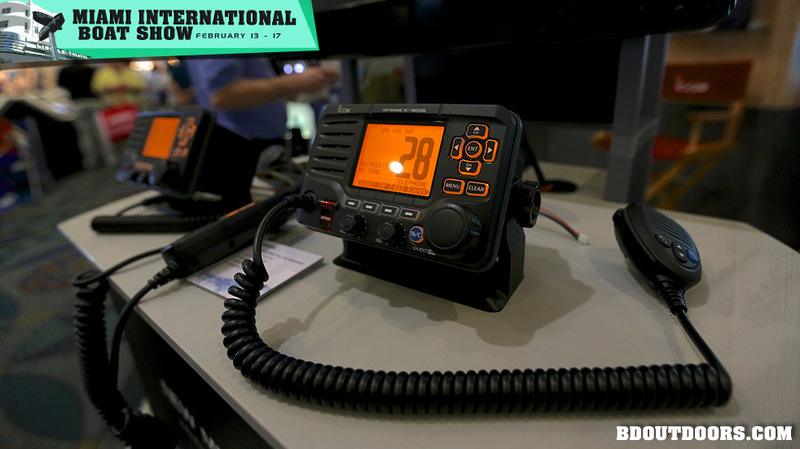 Icom VHF radios are known for dependability, function and waterproofing. If I’m calling for help or to see what’s biting, I want it to be on an Icom. 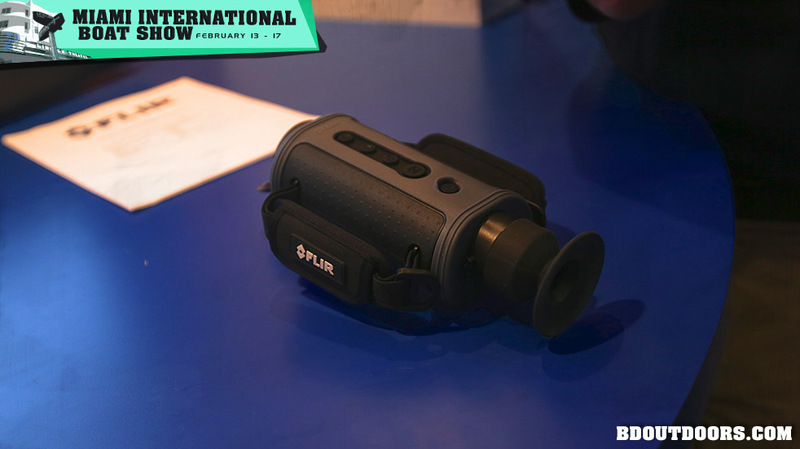 FLIR has brought thermal night vision technology and put it in a hand-held, submersible unit. 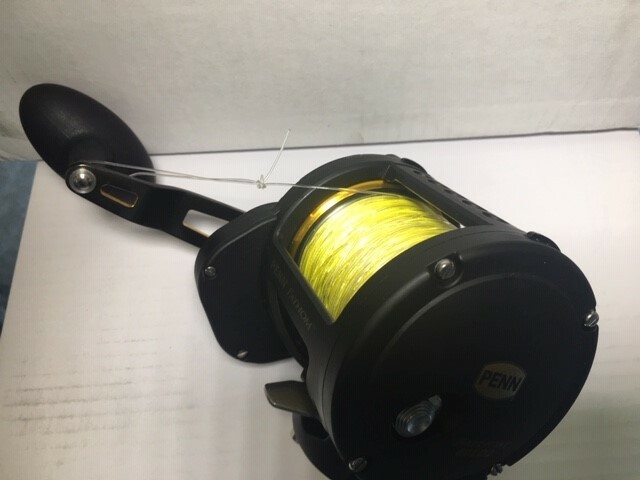 Take this incredibly beneficial ability to see at night with you on the boat, or have it at home. Many of the boats makes and models were on hand for test rides. 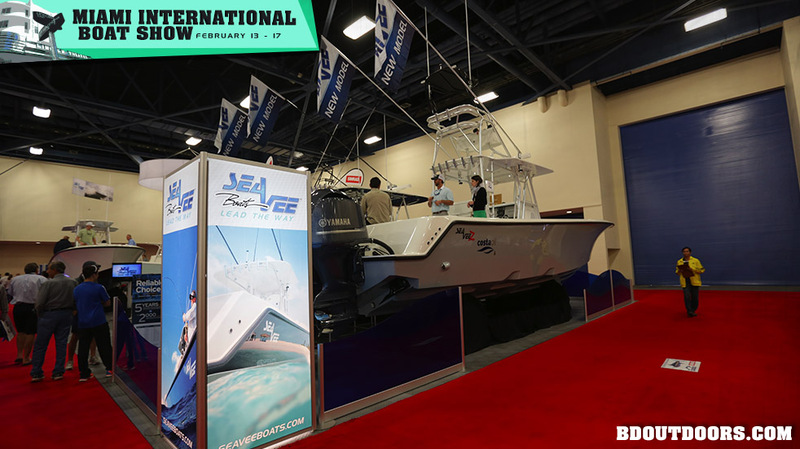 SeaVee had many of their latest models there for demo to the public. 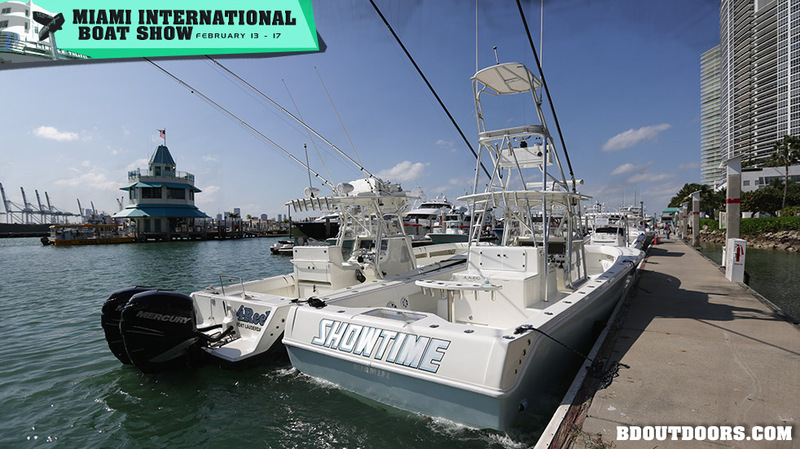 The â€œShowtimeâ€ had IPS propulsion for maximum maneuverability and economy. 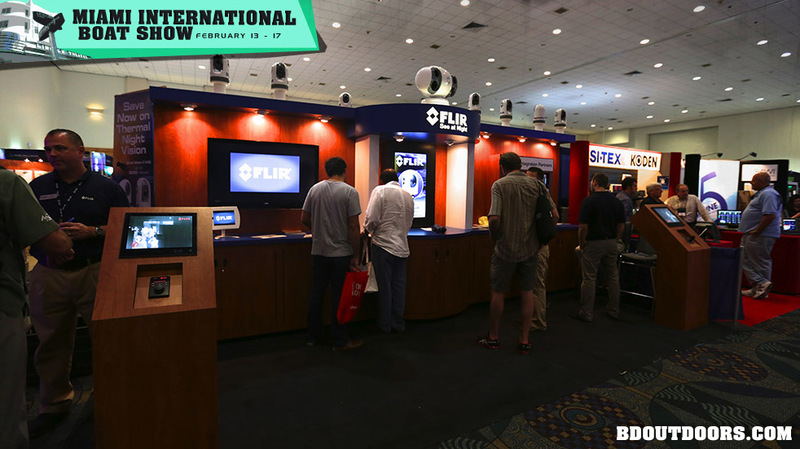 FLIR is bringing night vision technology to boaters in many forms. The ability to see at night is not just for multi-million dollar yachts anymore. 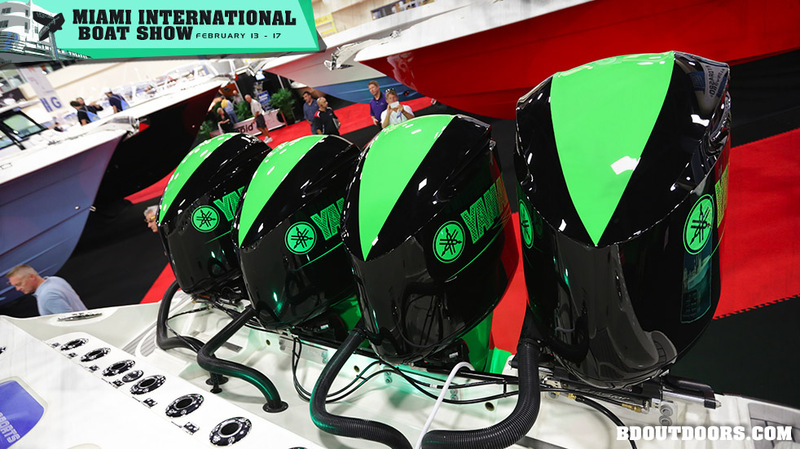 New affordable versions can fit many boating budgets, and its money well spent for safety when the sun goes down or the fog rolls in. 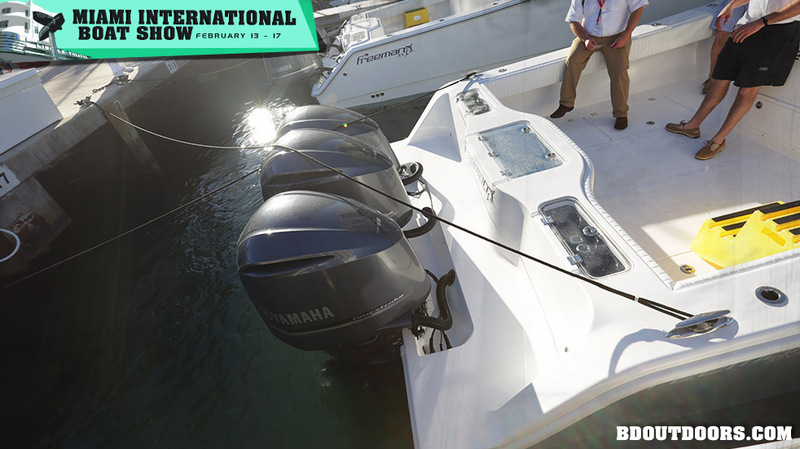 One of the big draws for boaters in attending the boat show is to get some hands-on time with the newest technologies, to help in the decisions of how to rig out their new or existing boats. 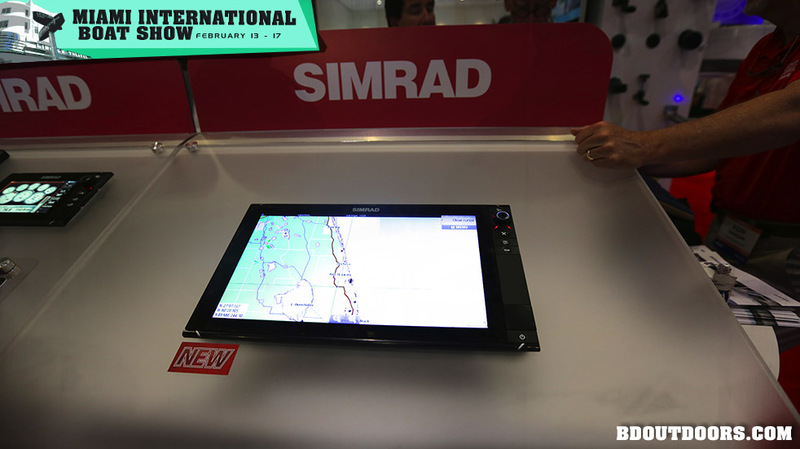 Simrad was here with all the goodies and the experts to back them up. 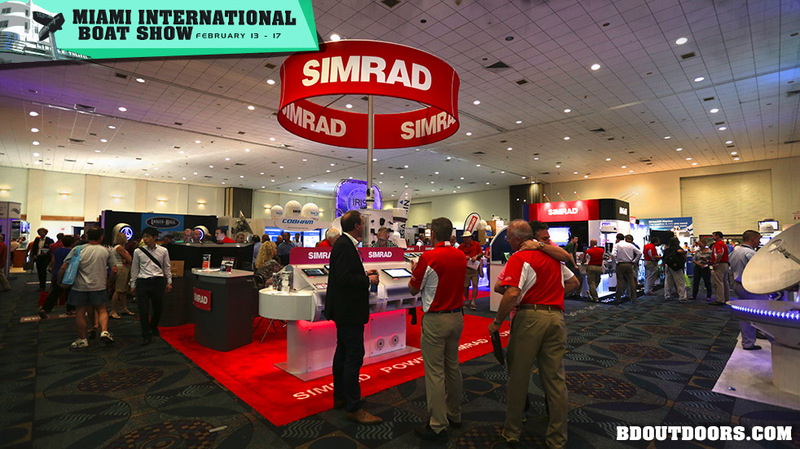 Simrad was proud to show the NSS evo2 series, a culmination of high-tech features, but user-friendly interface at a surprisingly affordable price. 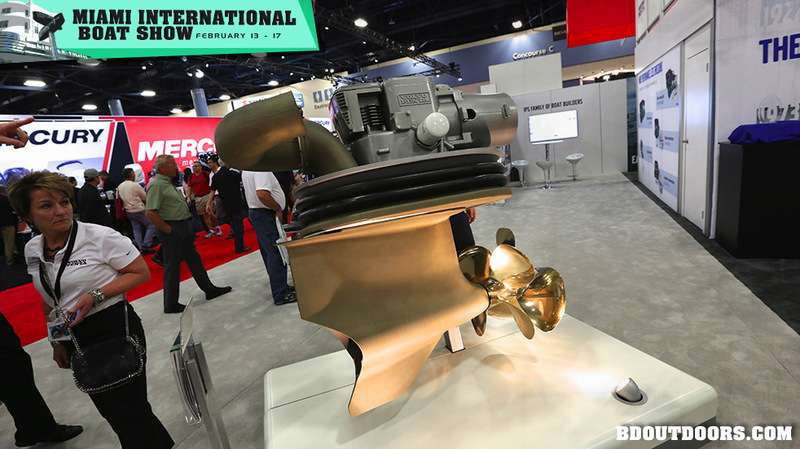 Volvo Penta was showcasing the next generation of pod drives. 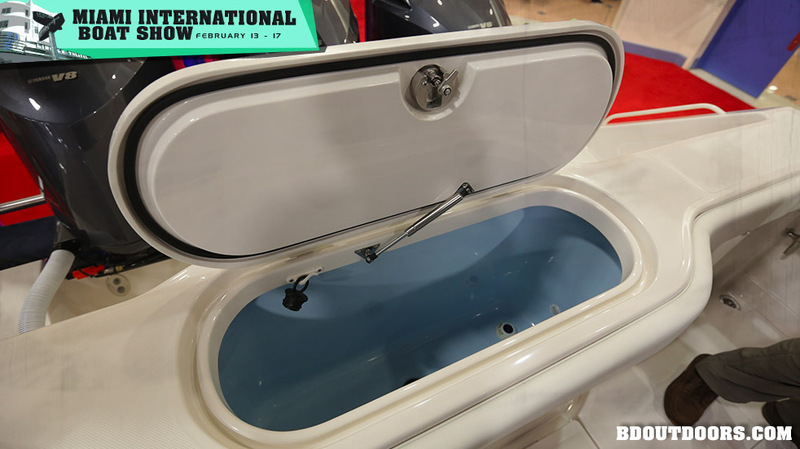 In a worst-case scenario, the lower unit has breakaway capabilities built in and no water will enter the vessel. 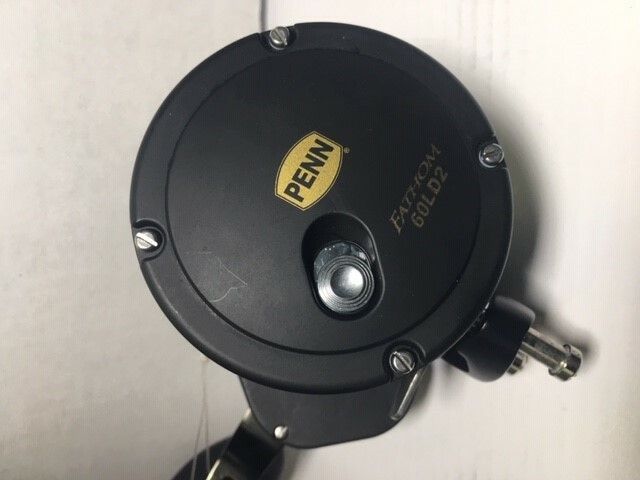 A new part can be installed in short order and you are back on the water. 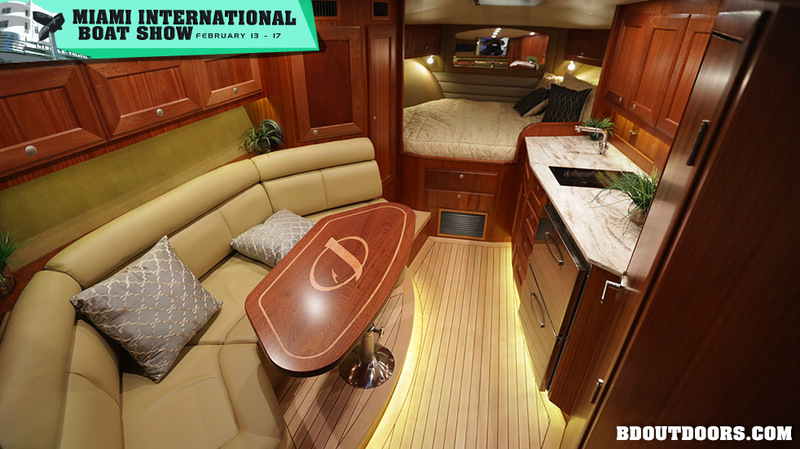 This is in addition to economy, space savings and unprecedented maneuverability. There is no end to the amount of water toys and gadgets at the show. 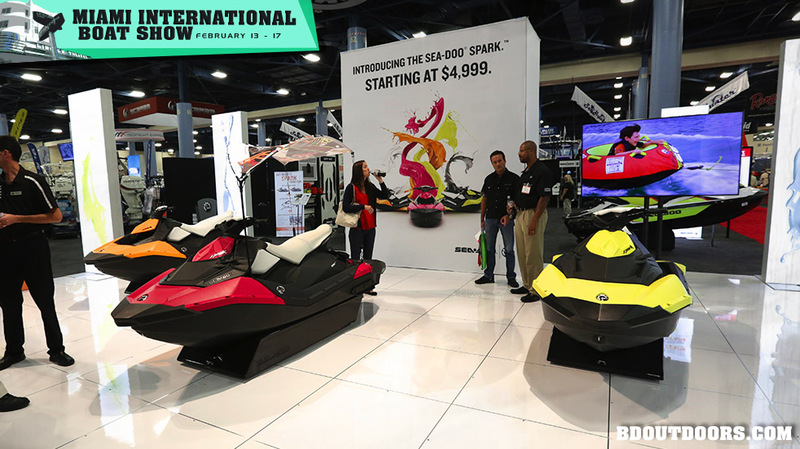 The Sea-Doo jet skis have reached an all-new pinnacle. 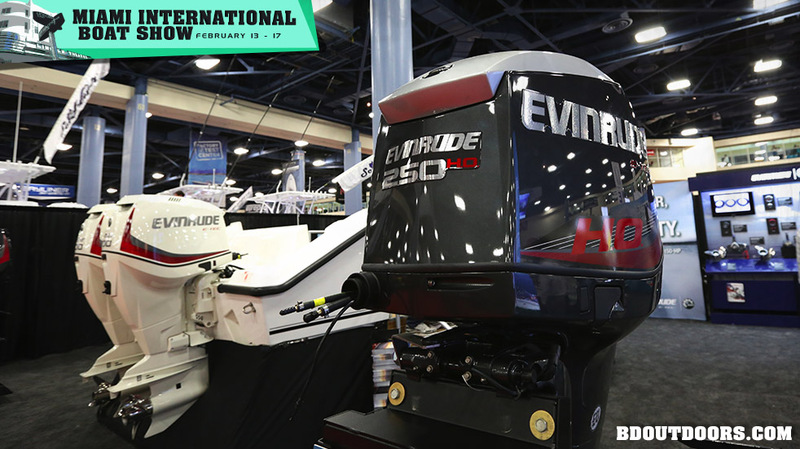 Evinrude was present and many new motors accounted for. 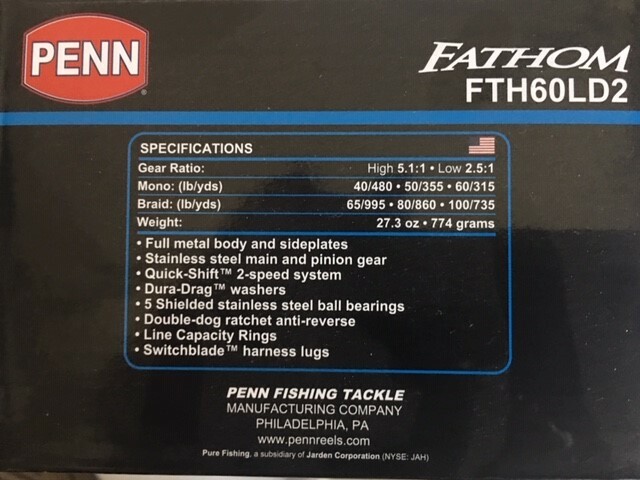 Various models are tailored for a specific range of uses. 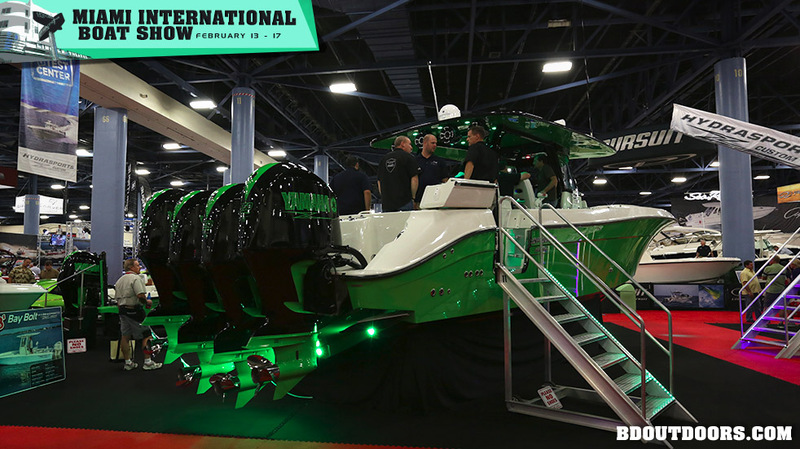 The luminous green Hydrasport with custom painted quadruple Yamaha’s was a fitting site for south Florida. Certainly doing its job of catching an eye or a fish. 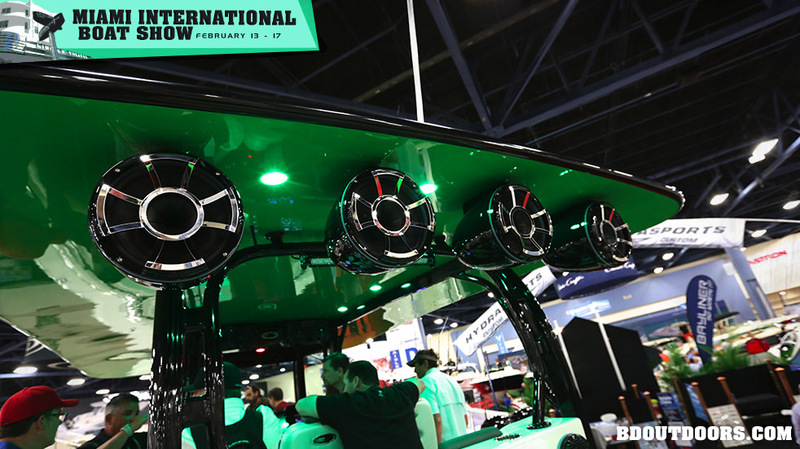 The new 42 foot Hydrasport is propelled by giant speakers under the eve of the hardtop. Oh yea and four 350 horsepower Yamaha fourstrokes. 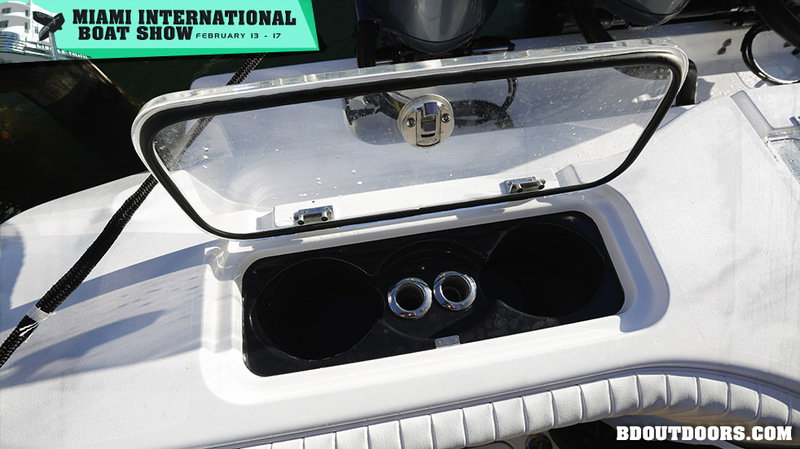 If the color doesn’t turn your head, the stereo will aboard the 42 Hydrasport. They must have had some paint leftover, so why not throw in a classic. 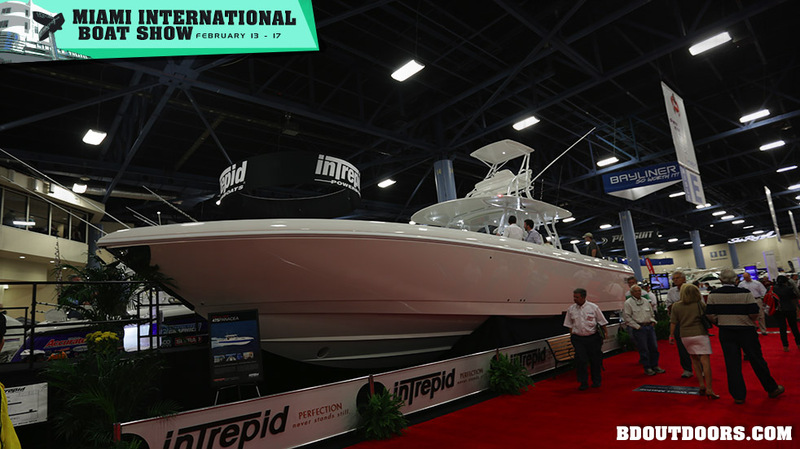 Jupiter Boats introduced its latest express/dayboat version with a very nice lower cabin and a decent cockpit for fishing. 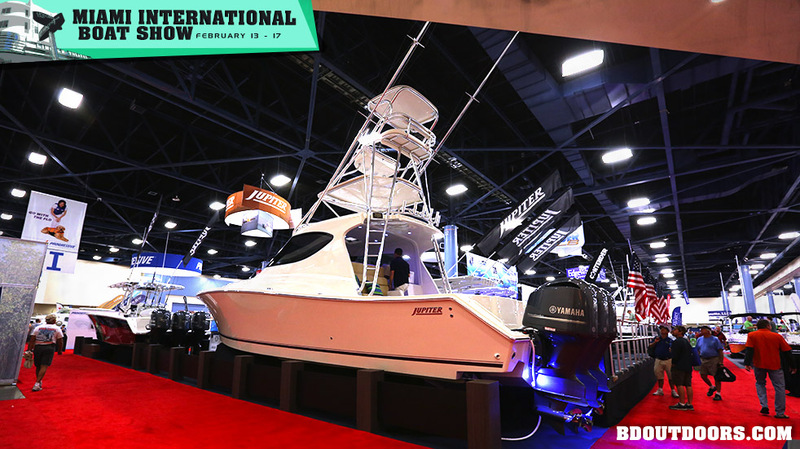 The latest Jupiter combines a touch of luxury and fishing comfort for serious fishermen and families alike. 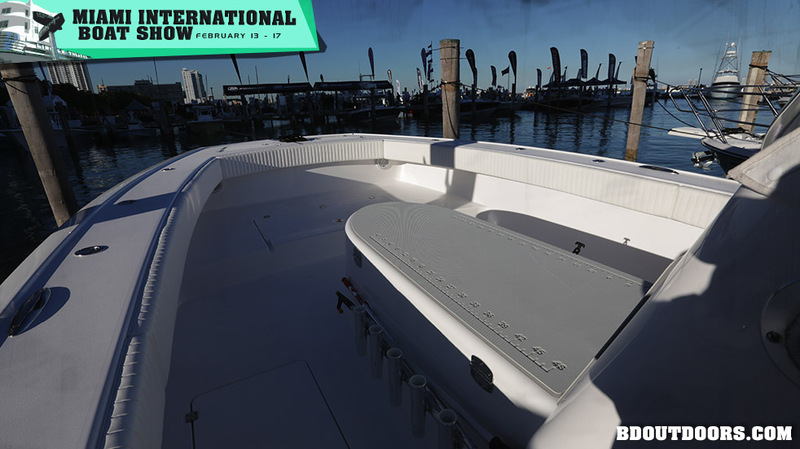 The Jupiter’s cockpit featured smooth lines and a big boat feel with built in fishing features like this transom livewell. 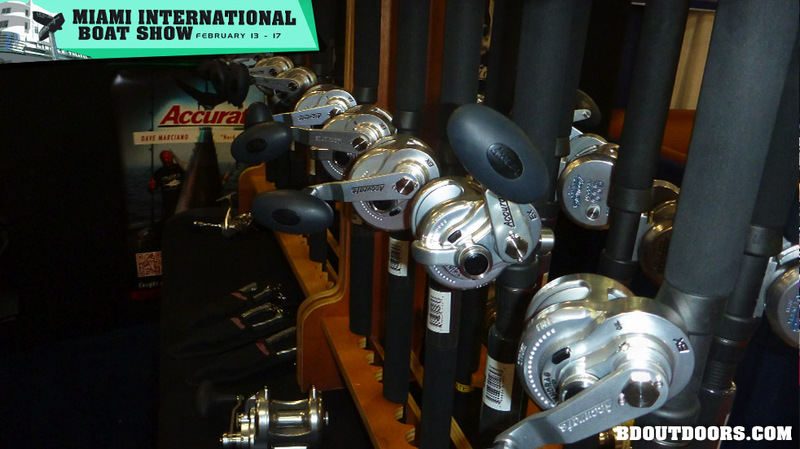 Accurate Reels were well represented and showcased a spread of their best reels and innovations. Side by side comparisons of the 33 and 37 foot Freeman cat boats built in North Carolina. 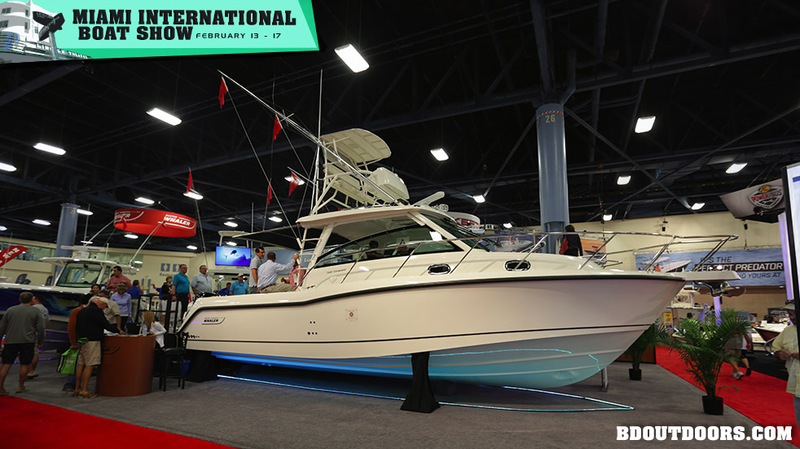 The new Freeman 37′ was making a splash with the crowds. 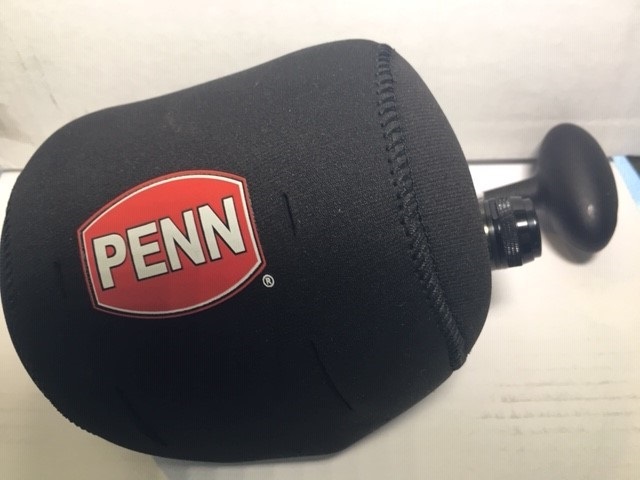 Featuring this innovative bait tube and rod holder configuration, which makes perfect sense. 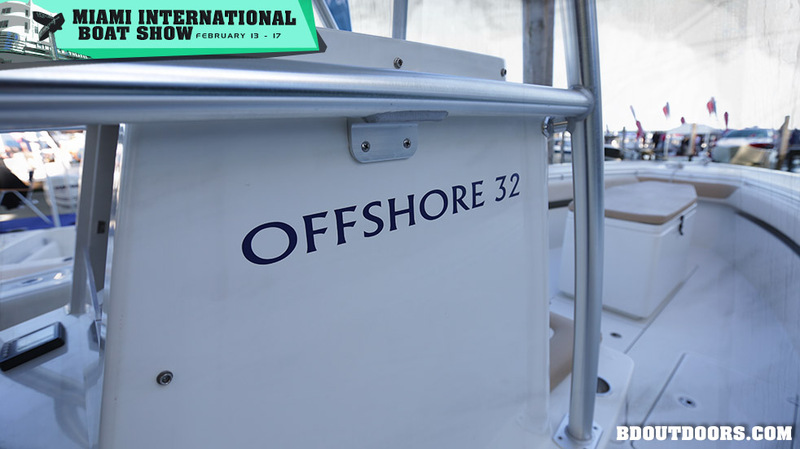 This newest Freeman 37 is powered with triple 350’s to make that long offshore run a lot shorter. Made in North Carolina, the Freeman also comes in the previously offered 33-foot version, and their popularity is growing quickly. The cockpit of the Freeman 37 is a stable platform with plenty of room to do battle with offshore giants. 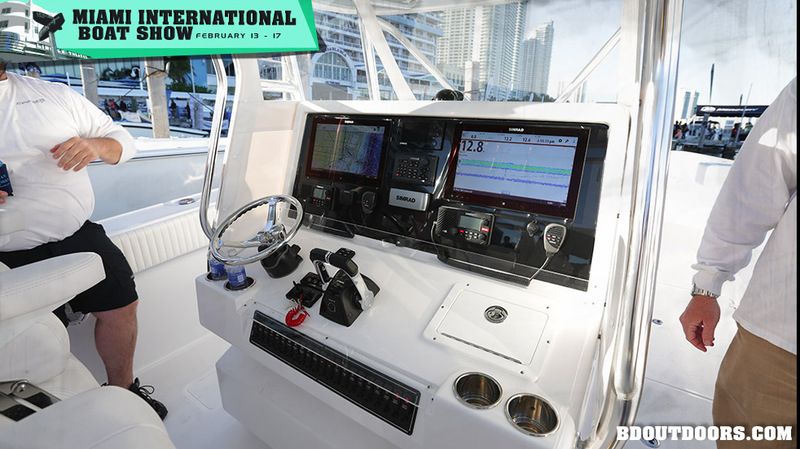 The console of the 37′ Freeman adorned with the latest Simrad electronics. The spacious bow of the Freeman 37 has plenty of room for storage, passengers and fish. 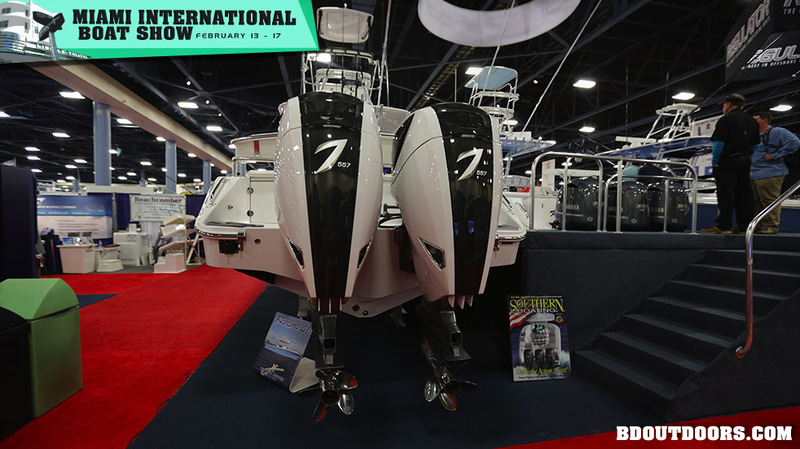 More and more boats are going with the 557 horse Sevens Marine outboards. 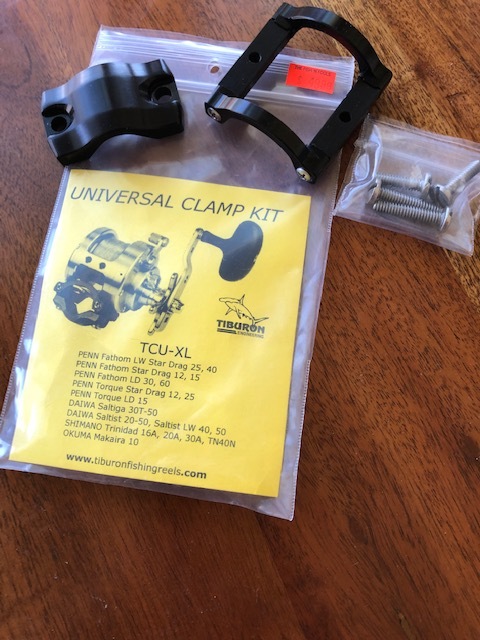 They are the solution for having high horsepower with less engines hanging on the stern. 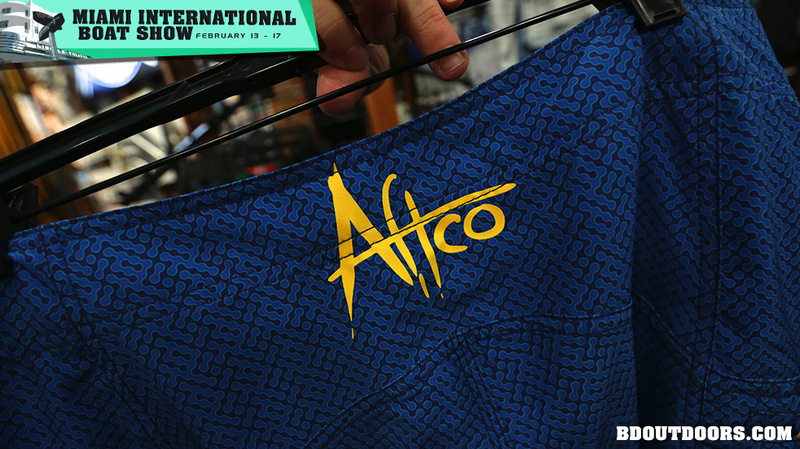 Aftco was well represented by their newest versions of apparel and hardware, both known for their quality and function. 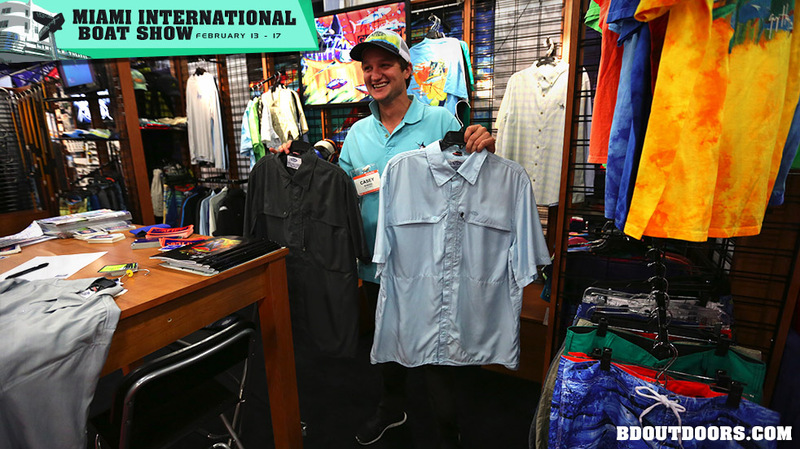 Casey Shedd was manning the booth, carrying on the family tradition of products made by fishermen, for fishermen. 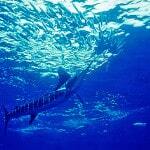 Andros has expanded its horizons to include offshore fishing on a new scale with their 32 Offshore. 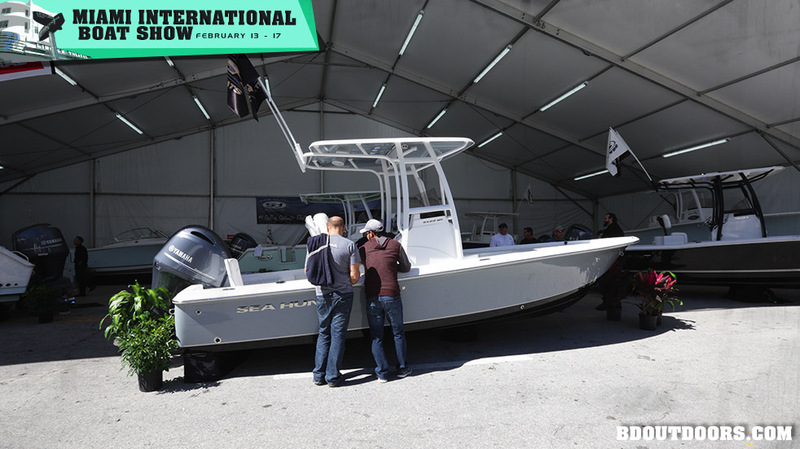 Andros Boats had their new 32 Offshore model in the water and the fit and finish was awesome. 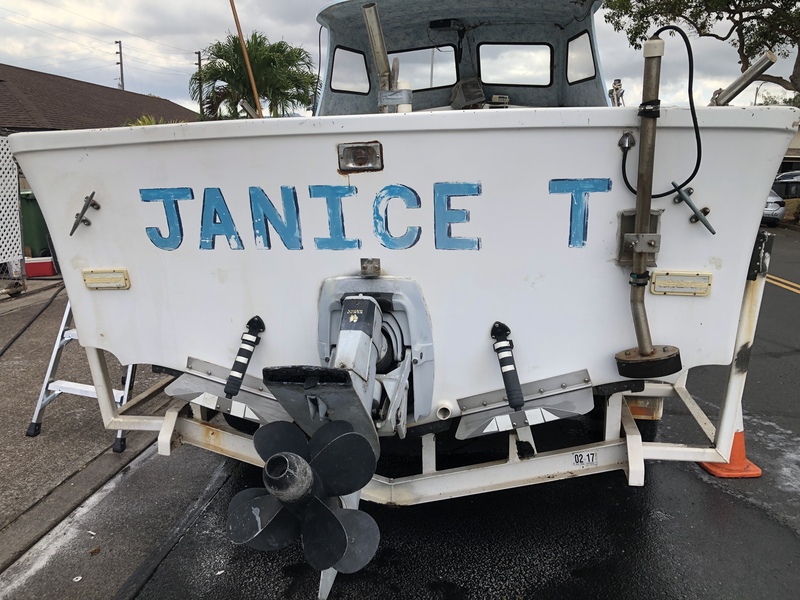 No longer is this name brand just an inshore or coastal boat. 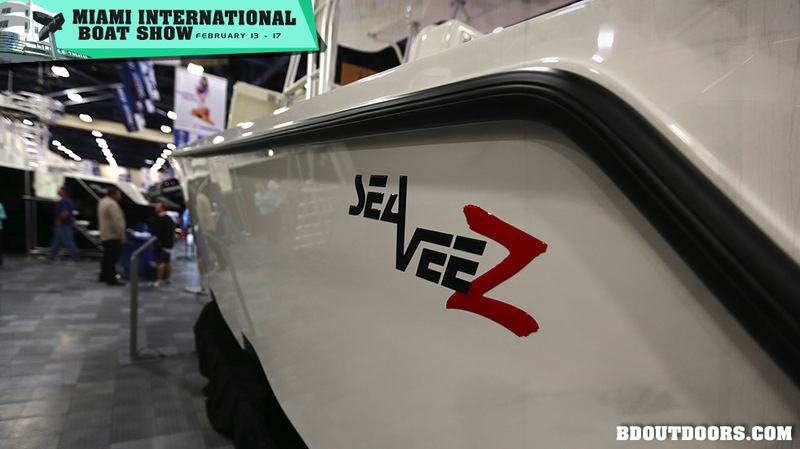 SeaVee was here in full force with their new stepped-hull Z series. 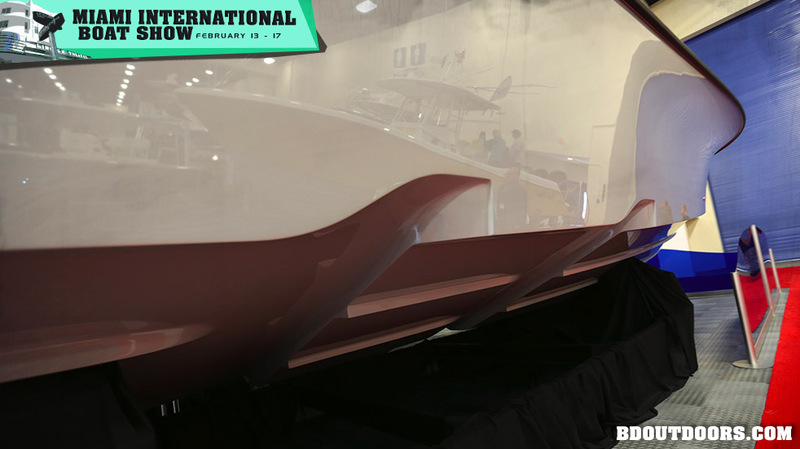 They were awarded best innovation awards for their new design that perfects the step-hull concept. 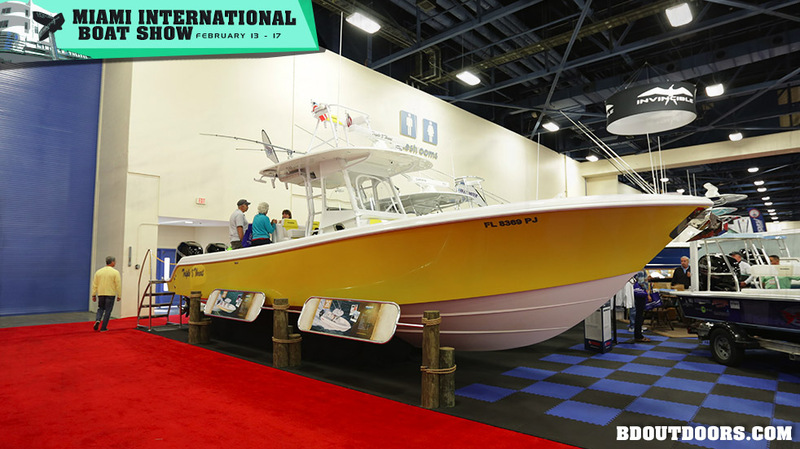 This award winning stepped-hull from SeaVee has eliminated the problems that were inherent to stepped-hulls of the past. SeaVee has finished the new 32′ SeaVeeZ and it was awesome. 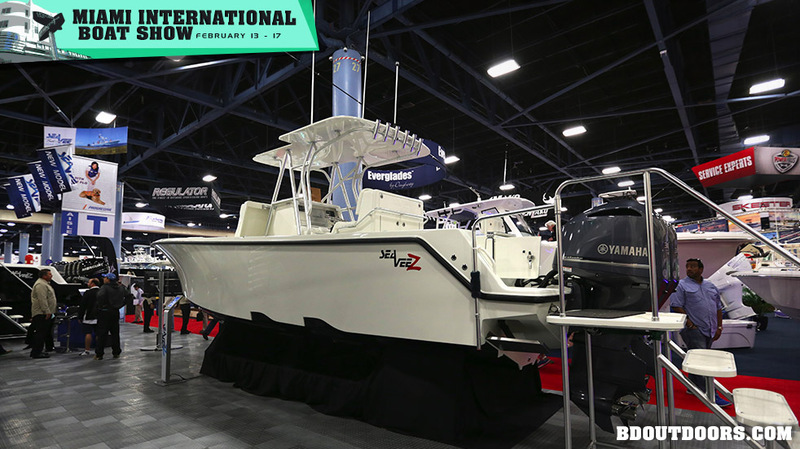 The new Z-series of SeaVee represents the latest in stepped-hull design, that won awards for innovation. 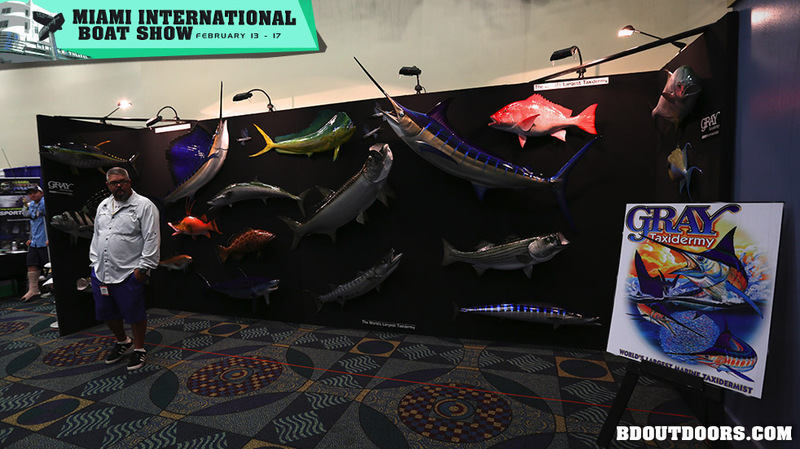 Gray’s Taxidermy was on hand with a display of their very realistic fiberglass fish replicas. 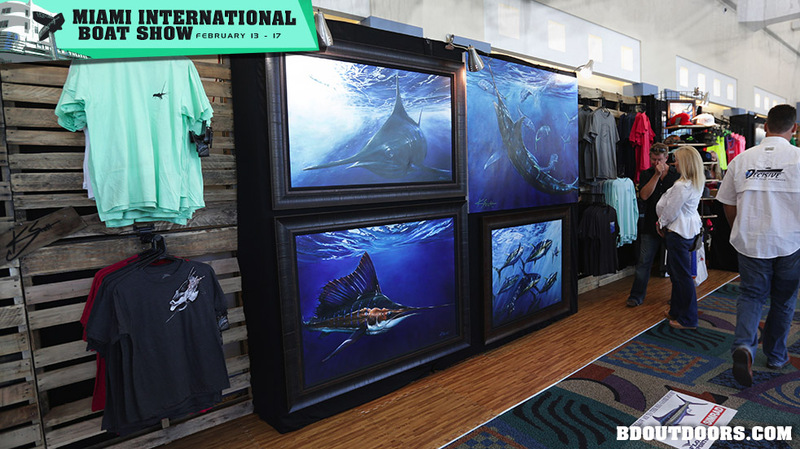 KC Scott’s amazing marine artwork was on display along with some products for his many fans. 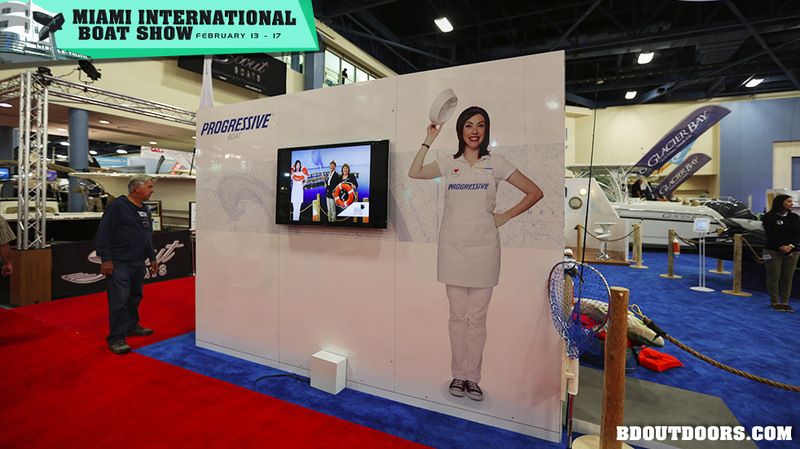 Flo was ever-present as a major sponsor of the Miami show. 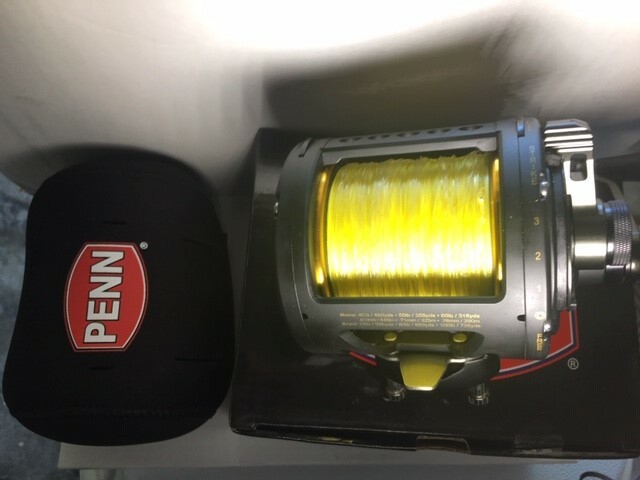 They are not just for cars anymore, so check it out for your boat as well. 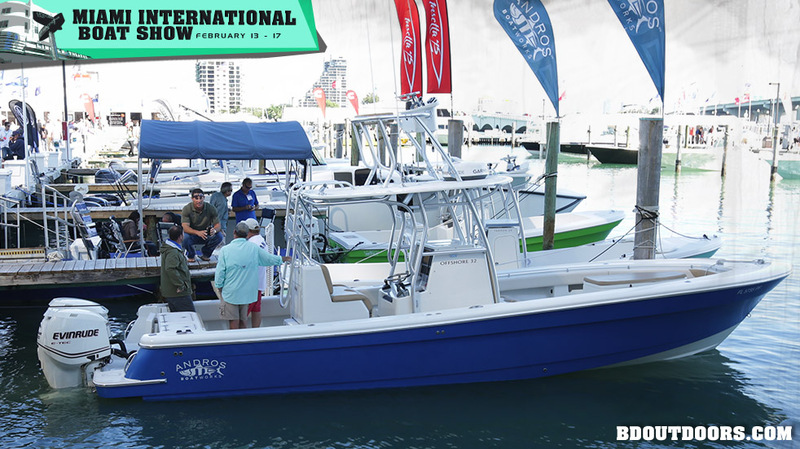 Boston Whaler was present with their full lineup. 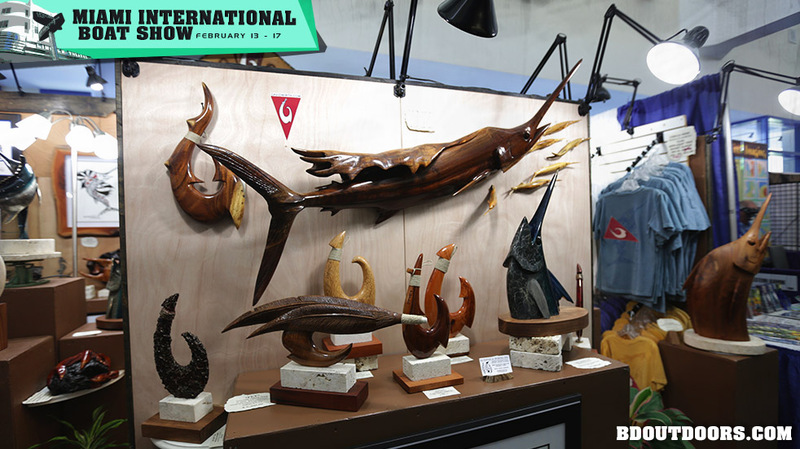 Check out the amazing woodcarvings of David Wirth. 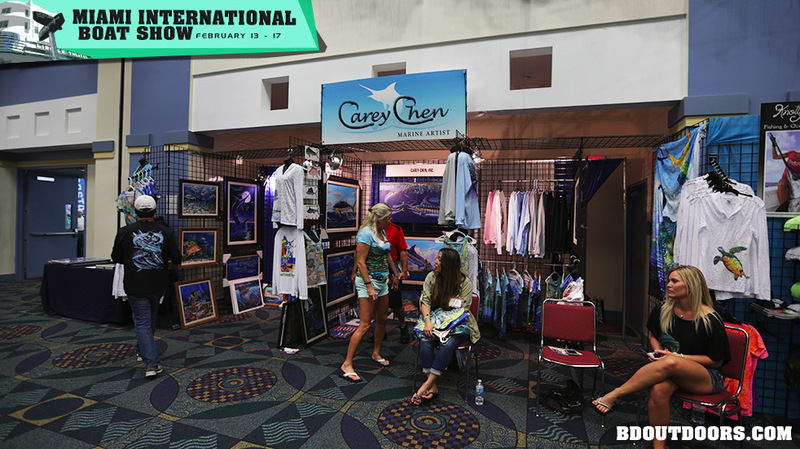 The talented marine artist, Carey Chen was here with his amazing artworks. 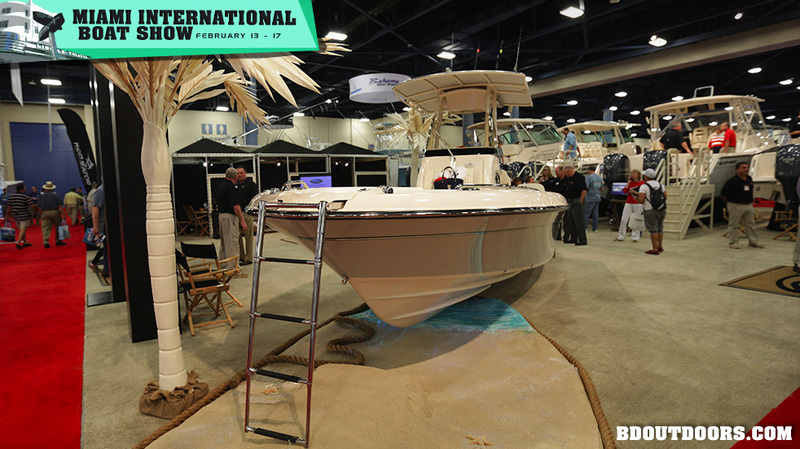 Sea Hunt’s version of a bay boat, which is ever growing in popularity because of the ability to have one boat that can go shallow or coastal. 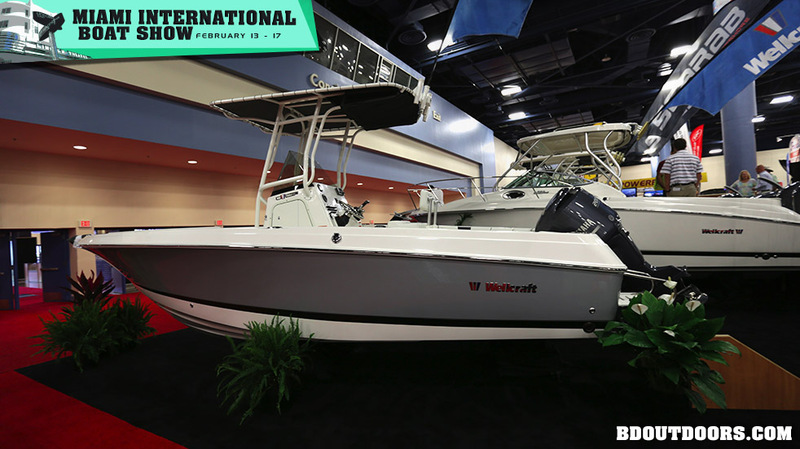 Wellcraft has long been a big name in boats, and this years offerings were no exception. 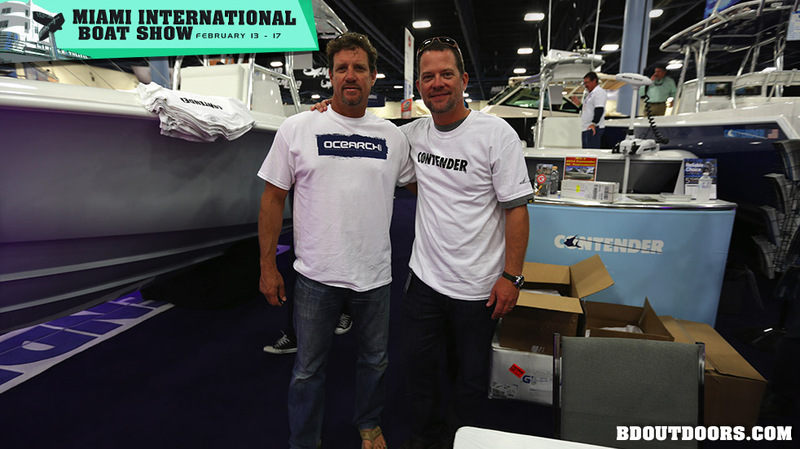 Brett Mcbride and Chris Fischer were on hand at the Contender booth to greet fans of their Ocearch adventures.